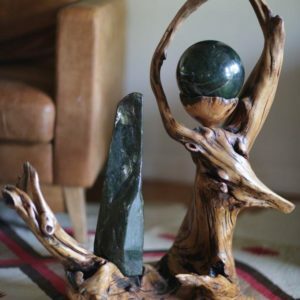 This is a large sculpture of super high grade Afghanistan Lapis Lazuli mounted in a Black Locust root wood base. 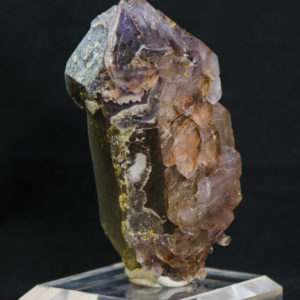 This Lapis was found in a display showcase in Peshawar Pakistan, it stood out there as an exceptional display piece. We had it shipped to the U.S. where we created a fine finished Black Locust base the mirrored its shape. 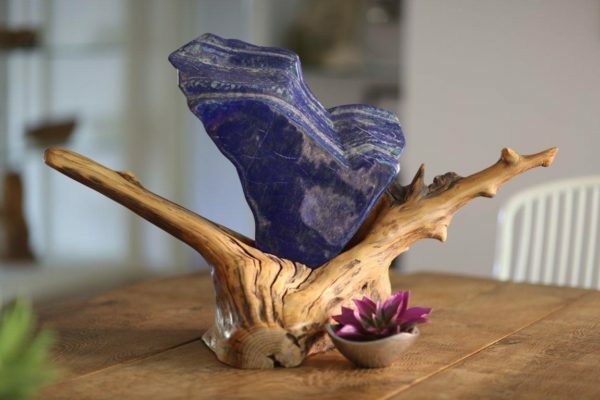 A wonderful centerpiece for any home adding a natural flowing beauty to wherever it is placed.